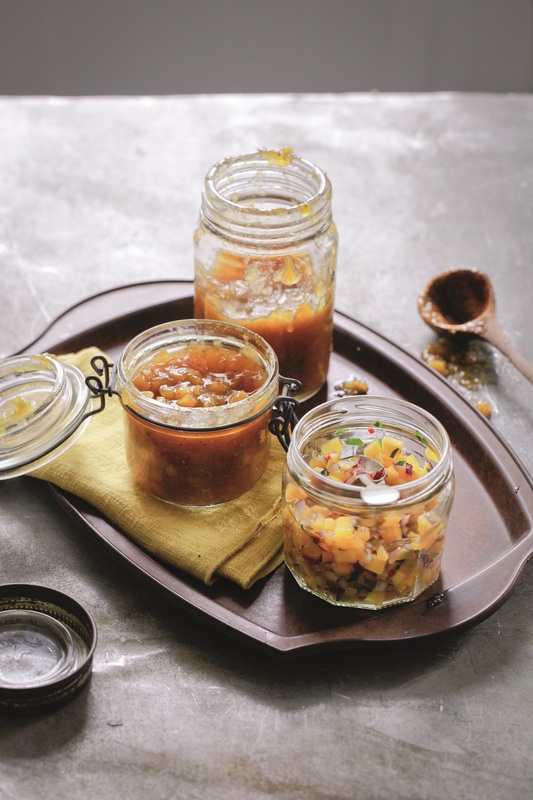 Use this simple salsa as a guideline and vary to suit your taste. You can make it spicier or more tart, and you can choose the type and amount of herbs that you prefer. It goes well with almost any of the wraps and is good with grilled and roasted meats too. Peel the mango and cut off the cheeks, followed by the flesh around the stone. Cut into small dice and put in a serving bowl. Add the other ingredients and mix well. Serve immediately or cover with clingfilm and set aside at room temperature for an hour or two until needed. Taken from Wrapped: crêpes, wraps and rolls you can make at home (Pavilion 2014) / Wrapped: crêpes, wraps and rolls from around the world (Interlink 2014). Photography by Keiko Oikawa.